UPDATED: Wed., Aug. 9, 2017, 1:34 p.m.
ATLANTA – On the eve of their first preseason game, the Atlanta Falcons addressed their biggest issue coming into training camp. Devonta Freeman has a new contract. The defending NFC champions agreed to terms Wednesday on a five-year, $41.25 million extension with Freeman, making him the highest-paid running back in the league in terms of the overall package. It includes a $15 million signing bonus and $22 million in guaranteed money. Buffalo’s LeSean McCoy had been the highest-paid back with a five-year, $40 million deal signed in 2015. Pittsburgh’s Le’veon Bell’s rejected an even bigger deal and will play for $12.12 million franchise tag this season. 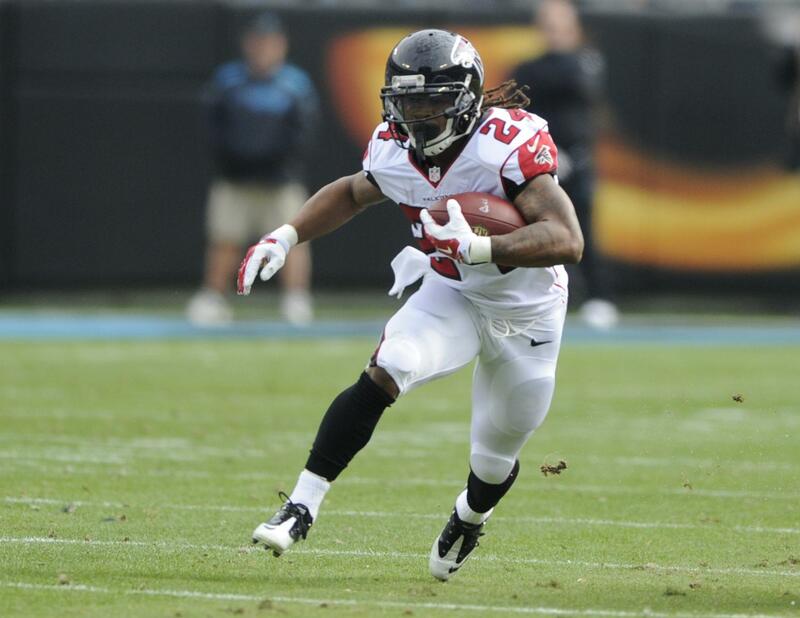 During his three seasons with the Falcons, Freeman has racked up 2,383 rushing yards, including back-to-back 1,000-yard rushing seasons in 2015 and 2016. His 3,175 total yards over the past two seasons ranks second in the NFL, behind teammate Julio Jones. Freeman will make just under $1.8 million is in the final year of a rookie contract he signed as a fourth-round draft pick out of Florida State. His agent, Kristin Campbell, caused a bit of a stir by first raising the prospect of a lucrative extension the week of the Super Bowl, in which the Falcons squandered a 28-3 lead and lost in overtime to the New England Patriots. But negotiations never got contentious, even as talks dragged into training camp. Freeman made it clear that holding out was not an option, saying he didn’t want to be a distraction. The Falcons left little doubt that Freeman was a big part of their plans after he helped the team reach the title game for only the second time in franchise history. Over the past year, the team also locked up cornerbacks Desmond Trufant and Robert Alford and offensive tackle Ryan Schraeder to long-term extensions. The deal was announced shortly before the Falcons headed to Miami, where they will face the Dolphins in the preseason opener Thursday night. Teaming in the backfield last season with Tevin Coleman , Freeman ranked seventh in the NFL with 1,541 total yards and his 13 TDs were fifth most touchdowns among running backs. He earned his second straight Pro Bowl selection. On Twitter , he noted his humble beginnings growing up in one of Miami’s toughest neighborhoods. Freeman and Coleman are one of the league’s top 1-2 threats at running back. Both players have breakaway speed, excel in the team’s wide zone-blocking scheme and fill vital roles in the short passing game. Atlanta led the NFL in scoring last year at nearly 34 points a game with an offense that featured Freeman, one of the top receivers in Jones and quarterback Matt Ryan, the league MVP. Coach Dan Quinn called Freeman into his office before the start of training camp to make sure he knew how badly the team wanted to get a deal done. The coach said Freeman never let it affect his work on the field. Now, it’s no longer an issue. Published: Aug. 9, 2017, 6:49 a.m. Updated: Aug. 9, 2017, 1:34 p.m.